This event gives art collectors, arts professionals, arts enthusiasts and the general public a chance to uncover numerous levels of dialog in Claremont’s graduate fine arts program. (Los Angeles, California) – The Claremont Graduate University Art Department is pleased to present its Spring 2018 Open Studios currently featuring twenty-five graduate students working in diverse media and approaches. This event gives art collectors, arts professionals, arts enthusiasts and the general public a chance to uncover numerous levels of dialog in Claremont’s graduate fine arts program. From individual investigations to those that incidentally and through osmosis overlap, this open studio event gives form to the current critical and aesthetic zeitgeist both in the program and at large. 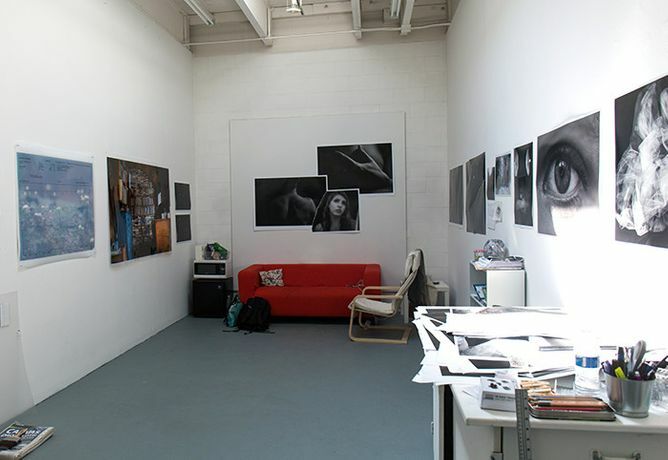 The Art Department invites the public to meet the program’s current artists in their studios, view their works in the facilities in which they are created, and discuss their ideas, techniques, and processes. CGU art facilities are designed to encourage an open and active community among students. All studio facilities including those unused have been scheduled for special installations and other works by student artists. At least 1 piece by each graduating student and the 2017 Fall graduates will be in the 2 main galleries; East and Peggy Phelps Galleries. Additionally, each Installation room along the side hallway will be filled with student work including a room dedicated to three Fall, 2017 graduates. Each student’s upstairs studio will also be open, and students will fill unaccompanied studio spaces with work. Claremont Graduate University is located at 251 E. 10th Street, Claremont, CA 91711. Free Parking. The School of Arts & Humanities is home to a unique approach to graduate education, offering students the opportunity to study in and across disciplines as they “follow the problem.” Our research and teaching transcend academic boundaries and disregard the artificial divides between theory and application. Intimate seminar-style classes mean you’ll build close working relationships with faculty-mentors, who in turn will help you thrive academically and launch meaningful careers.